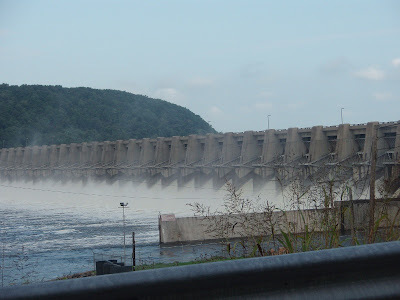 Fort Gibson Lake can only be 28 feet over normal, or it will top the dam. It is at 27.5 feet and holding. The amount of water that they are releasing from the dam is just incredible. I'd sure like to get to the docks.